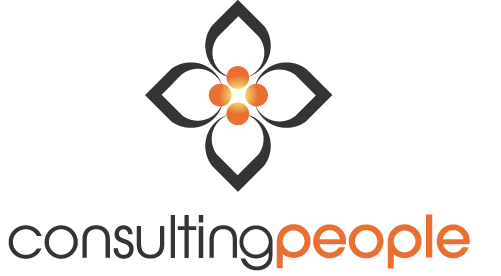 Consulting People's key methodology is The Busi﻿ness Transform﻿ation Cycle℠, a systems approach to achieving results in organisations. 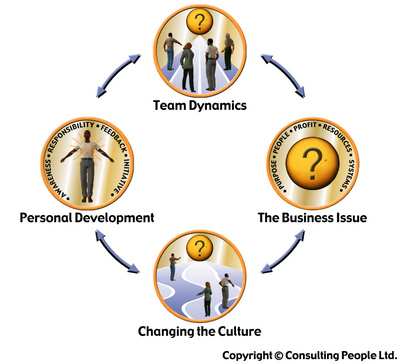 The Business Transformation Cycle℠ incorporates our distinctive approaches to resolving a Business Issue, through shifting the Team Dynamics, enhancing Personal Development and Changing the Culture of an organisation. Over 25 years we have refined, adopted, transformed and changed our own thinking and where appropriate, built on the work of thought leaders with whom we have had the good fortune to work. For each element of The Business Transformation Cycle℠ we have evolved a diagnostic tool (proven through our own action research spanning 20 years) to assess the cultural, team and individual development maturity of your organisation - and the level that will be needed to achieve your business goals. The output from this diagnosis allows us to design and deliver an effective change programme for you.